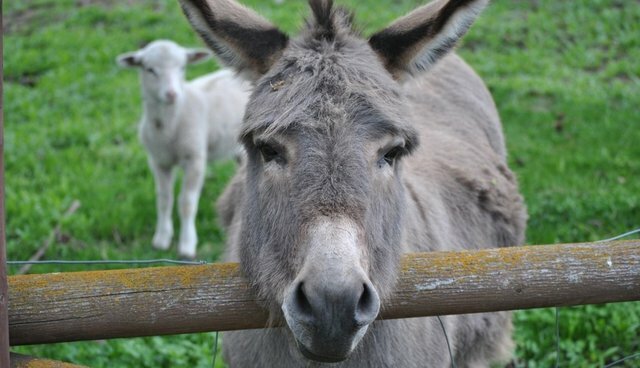 In order to raise money for an after-prom party, a group of high school students in Brunswick, Ohio is organizing a "donkey ball" fundraiser, which combines basketball, polo and donkeys in an event that activists and parents alike are calling inhumane. The school's superintendent has agreed to allow the event after being assured that no animals would be harmed, prompting concerned residents to organize a petition arguing otherwise. The event, which is scheduled to take place February 19, will feature donkeys from Buckeye Donkey Ball, a Columbus-based company that organizes similar fundraisers in 16 states across the country. 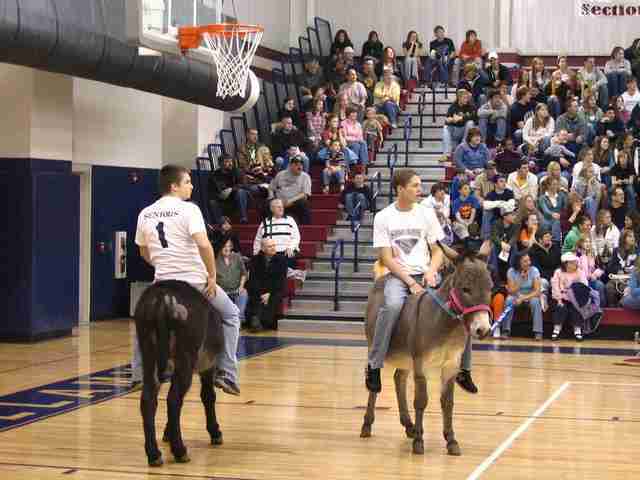 According to the company's website, the game is exactly as it sounds: teams of 8 to 10 players, all of whom must be over the age of 16, compete in a basketball tournament to raise money, while also riding around on donkeys inside a gymnasium. Viewers will pay $10-$12 to watch school board members and city council representatives "play" on the donkeys for up to two hours. According to PETA, donkey basketball exposes animals to "deafening crowds, blinding lights, and general chaos as they are jerked by the reins, screamed at, whipped, kicked, and ridden frantically by participants striving to score baskets against opposing riders." Additionally, the organization has argued, donkey basketball sends the wrong message to students, reinforcing animal cruelty as acceptable behavior. Gia Campola, an animal welfare activist who will be heading a protest at the event, agrees. "Why are we regressing to an activity that was popular decades ago and fell out of favor because it's obscene?" Campola said in an interview with Cleveland.com. "Children do pay attention to the actions of the adults around them and do make choices based on what adults deem acceptable... The complete abandonment of compassion shown by exploiting these creatures, accepting the conditions that these animals endure and making money from their exploitation is really not a good gauge for these kids to set their moral compasses by."